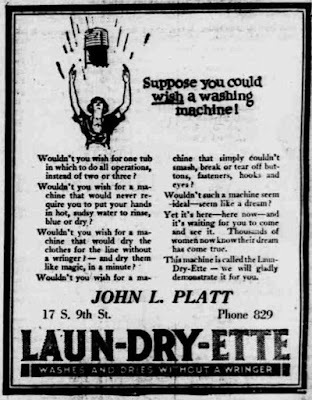 I've said it before and I'll say it again--my great-grandmother would be so ashamed to see me think complaints about doing laundry. This seems to be the most modern machine of 1922, which does sound pretty much like ours nowadays. Suppose you could wish a washing machine! "Wouldn't you wish for a machine that would never require you to put your hands in hot, sudsy water to rinse, blue, or dry ?" The ad on this page explains pretty much how it works. You'd still have to hang the laundry on the line, of course. I saw an ad for a 1920s dryer once, but out in Arizona I'm sure they did not sell well. 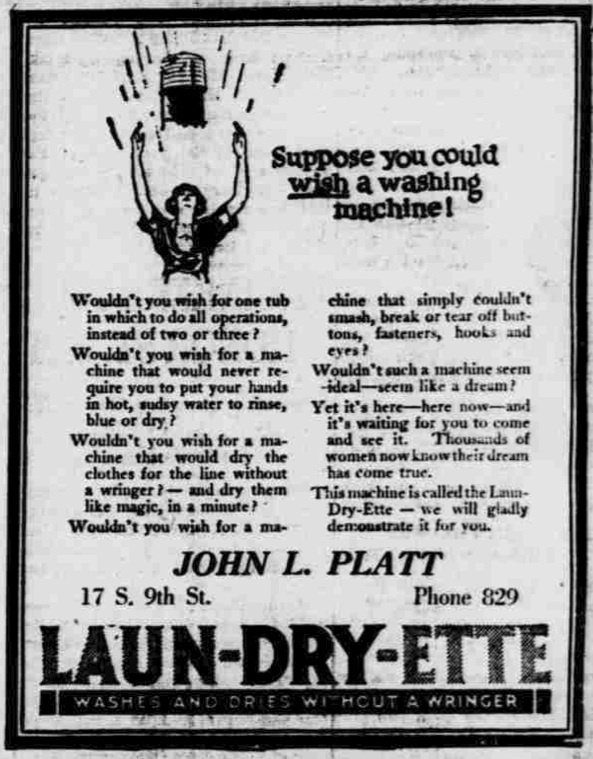 As a woman who hates cleaning, I've got to say I'm glad it's not 1922. 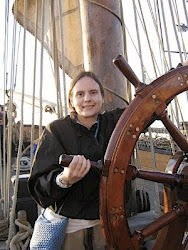 Happy Belated Birthday, Pirates of the Caribbean!